Elegant Wedding Jewelry Handmade Exquisite Set! All A Grade & Material are used to make this beautiful Pearls Necklace Set. 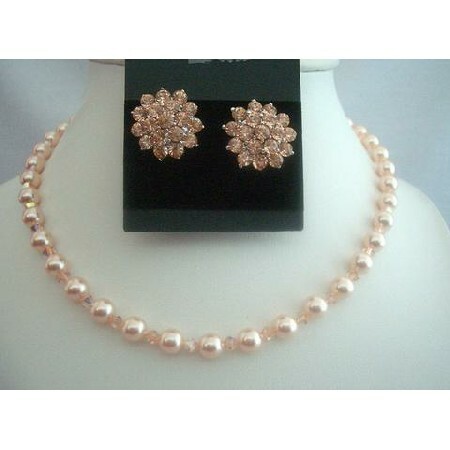 Swarovski Peach Pearls & Crystals.